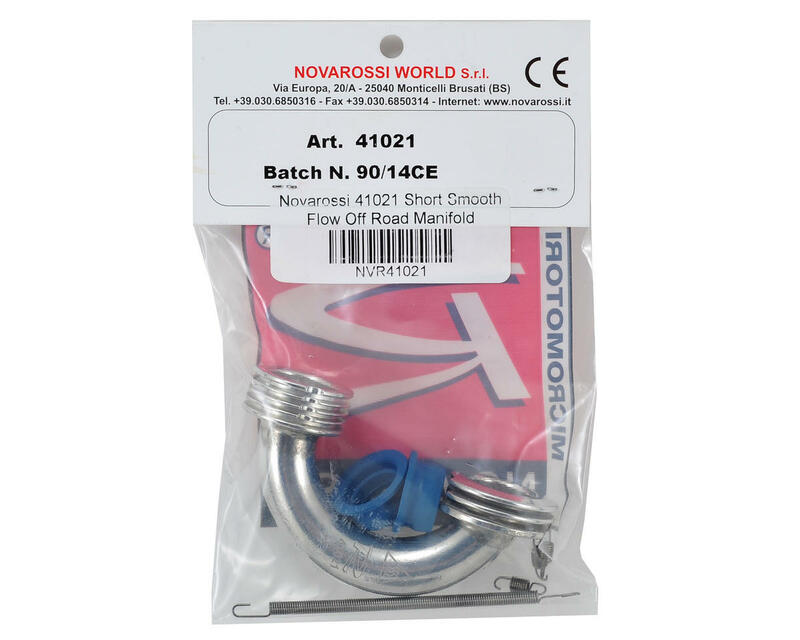 This is the Novarossi 41021 short, smooth flow, off-road racing manifold. This is the one piece variety manifold, which attaches to the tuned pipe using three small springs. 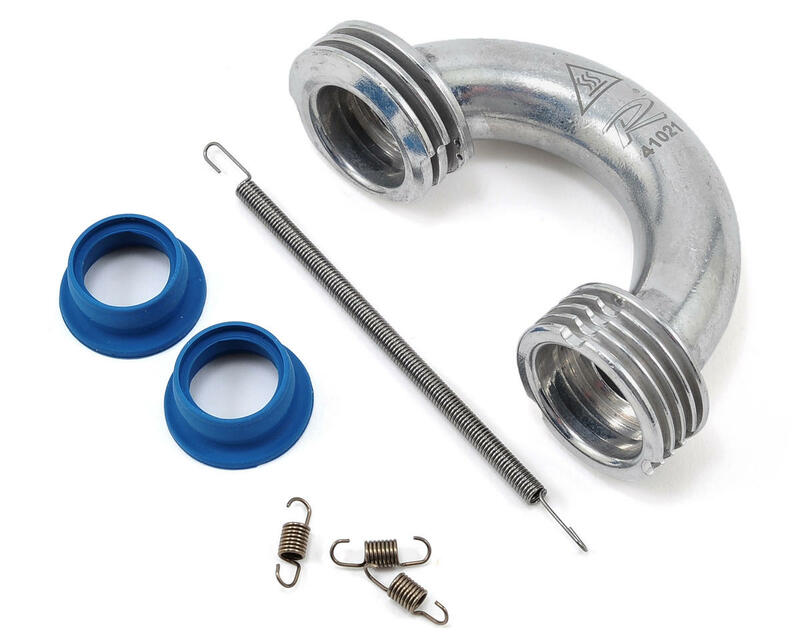 This manifold is the smooth flow design from Novarossi, and is the short version of manifold for improved top end performance. Included is the manifold, one manifold spring, three tuned pipe springs, and two manifold gaskets. Note: Novarossi also offers the 41033 manifold which is 3mm shorter than this 41021 (NVR41033).